rich girls. : Carlie Waterman | The Innovators MBFWA. She was one of the select few graduates chosen to take part in the Innovators show at Fashion Week. 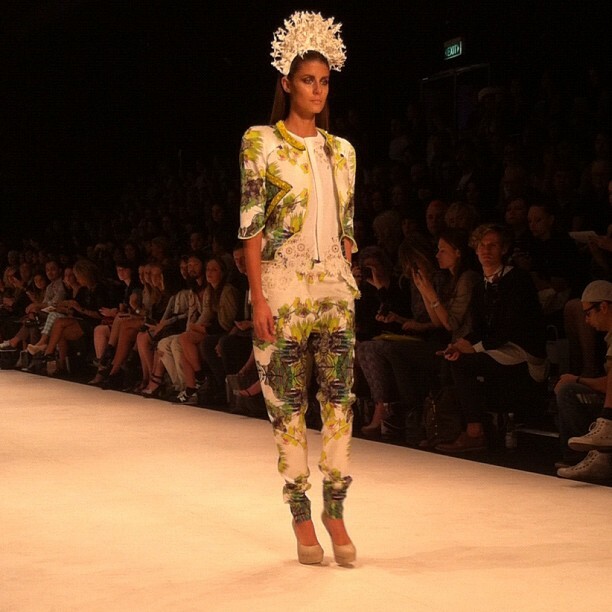 beautiful, bright fabrication, amazing headpieces and gorgeous prints. I'm totally lusting over that printed jacket she's wearing. Big time. of some of the up-and-coming designers collections from the show shot by Ryan Barry-Cotter and Samuel Raftl. Carlie is amazing. Love her stuff. Need that jacket! That jacket it a big WOW - amazeballs! Her collection was amazing!! Those head pieces were made from tiny toy solider figurines!! !